What may be causing my mouth sores if it is not lupus? Some form of trauma to the mouth: This can be caused by excessive brushing, chewing sharp or hard food, accidentally biting your cheek, etc. Hormonal changes: Some women can develop these ulcers during their period as hormone levels change during the menstrual cycle. Certain foods: Chocolate, coffee, peanuts, strawberries, cheese, tomatoes, wheat flour, and almonds may be culprits of mouth sores. Toothpaste additives: Some people may be sensitive to the sodium lauryl sulphate additive that is found in some toothpastes. Stopping smoking: When you stop smoking, your body is dealing with a change in chemicals and this change may cause mouth ulcers. It is usually temporary. Immunodeficiency: Mouth sores may appear due to lupus medications that suppress the immune system. Reactive arthritis (also known as Reiter’s Syndrome): This is a form of arthritis that affects the joints, eyes, urethra (the tube that carries urine from the bladder to the outside of the body), and skin. Crohn’s disease: Complications of Crohn’s can include gum inflammation and cavities, but the most common are mouth sores or canker sores. 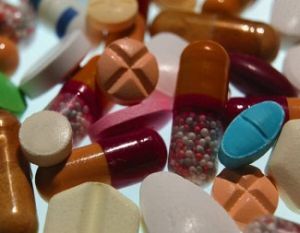 Non-steroidal anti-inflammatory drugs (NSAIDs): This may include such medications as ibuprofen, aspirin, Celebrex, ketoprofen, naproxen, and diclofenac. Iron deficiency: A lack of iron in the blood leads to a reduced amount of oxygen reaching organs and tissues. This may result in mouth ulcers. What can be done to help alleviate or prevent them? Lower your stress levels: Try doing relaxing activities like yoga, meditation, breathing exercises, reading or listening to calming music and participating in gentle exercise such as walking or swimming. Learning about the mind/body connection can help with this. Avoid foods that may have caused or aggravated ulcers in the past. Avoid sharp or hard foods that can further injure the mouth or cause other sores. Have good oral hygiene and see a dentist regularly. Mouth sores, while not life threatening, may be very disruptive to daily life. If you notice a mouth sore or have persistent oral lesions, please seek the advice of a medical professional to determine the cause. 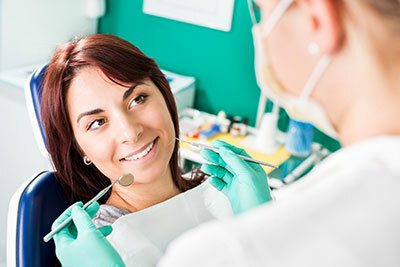 Most mouth sores can be treated, managed, and prevented with medications, supplements and/or lifestyle changes, but only a doctor or dentist can determine the best course of action for your specific needs. Do not start or stop any medications or supplements without the supervision of your primary care physician. Practice good oral hygiene and see your dentist regularly for cleanings and soft tissue examinations to ensure your best optimal oral health possible.